Nail tech Ela Loszczyk carries many titles. She’s a veteran competition winner, competition judge, author, and educator. To share her knowledge with others, Loszczyk has previously released educational DVDs that focus on one stroke designs, 3-D acrylic designs, and even nail art. 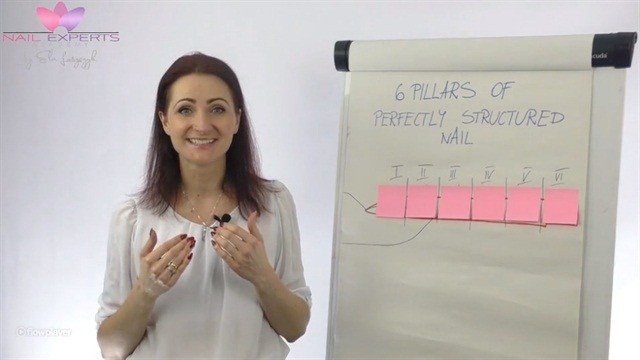 Now, she’s turned her classes into a digital eight-week course you can take to master nail structure and execute consistent nail shapes. The Nail Shapes & Structure Master Class will be open for enrollment on Jan. 21, but if you click here, you can get instant access to free videos to preview the lectures. Loszczyk says the online education will help nail techs work smarter, not harder as they learn to improve their efficiency and sculpting consistency using gel and acrylic. For more information, visit the course’s website here.